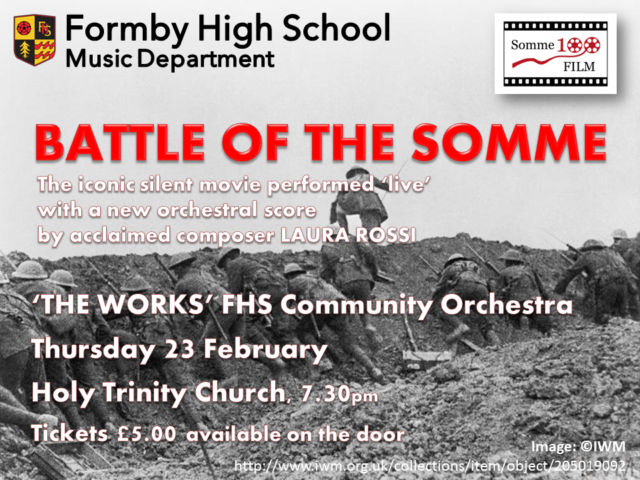 We are delighted to confirm that one of the 100 performances nationwide will be musicians from Formby High School who will be joined by local musicians in a collaborative performance and screening of ‘The Battle of the Somme’. 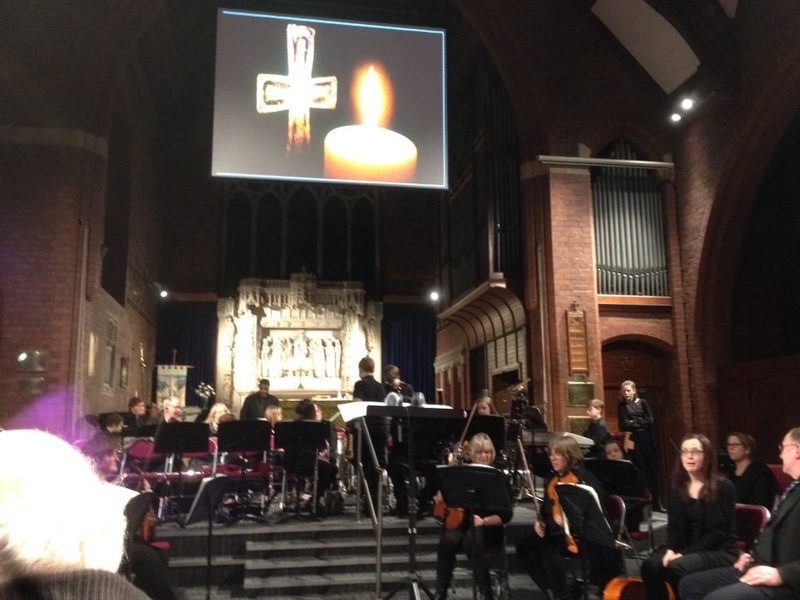 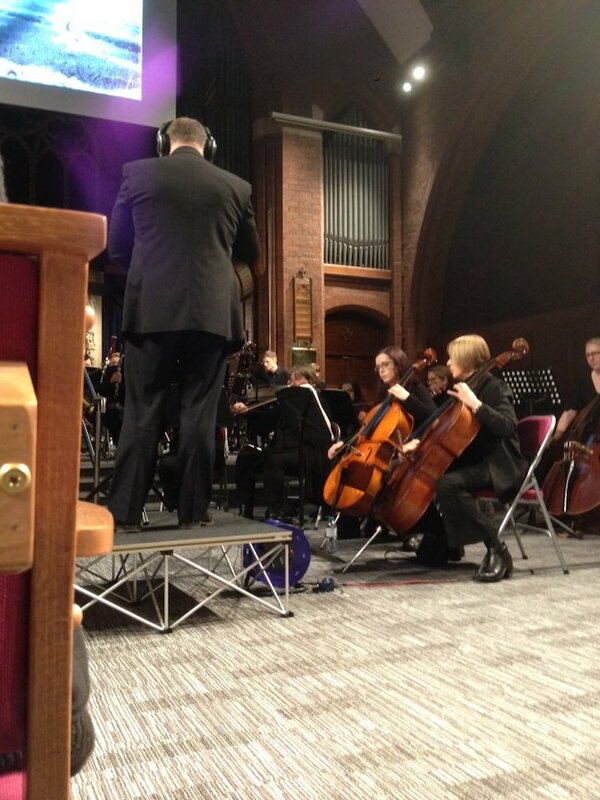 The live performance will take place on 23 February at Holy Trinity Church in Formby at 7:30pm. 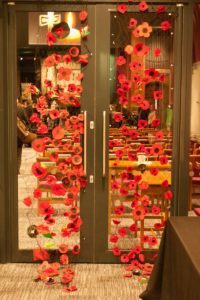 Tickets are now available for this thought-provoking experience. Ellen Thomson and Laura Rossi led a Sounding the Somme teacher training session at Formby High school with teachers and a workshop with music students. 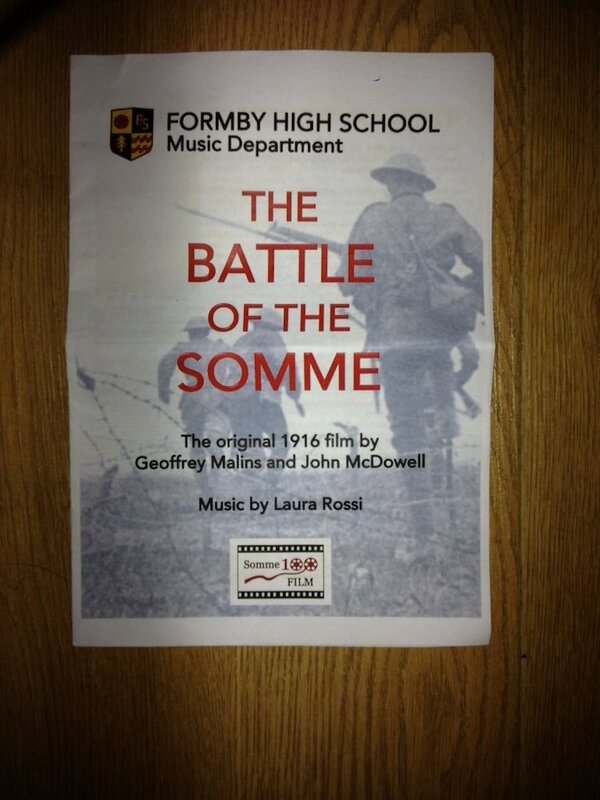 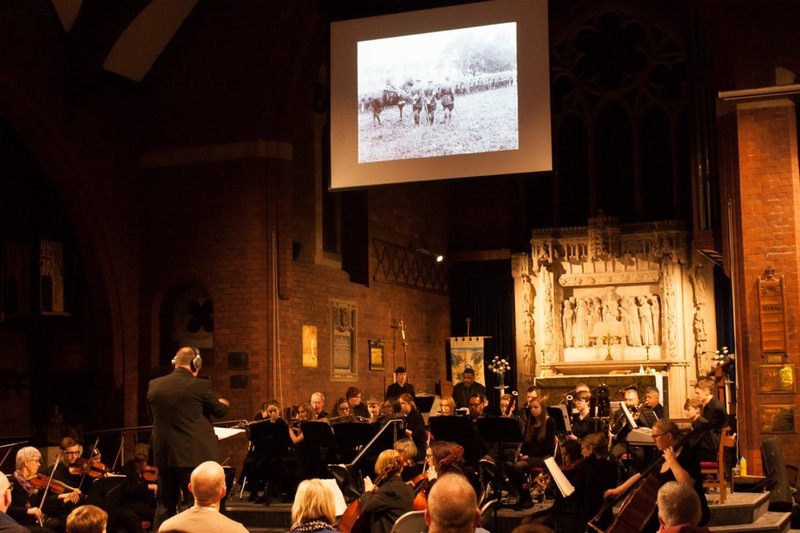 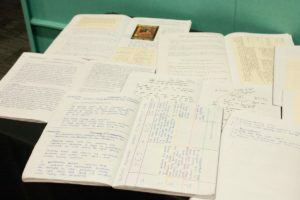 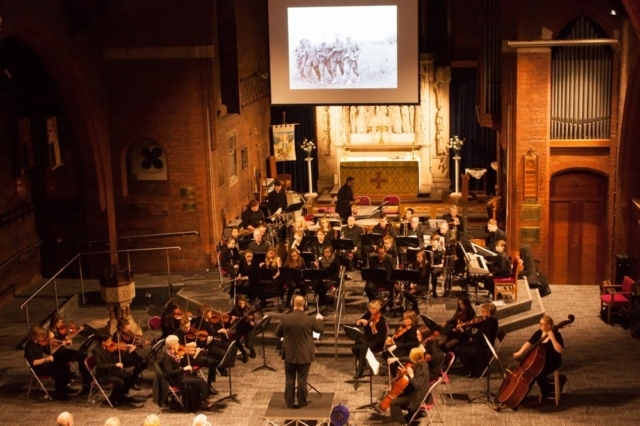 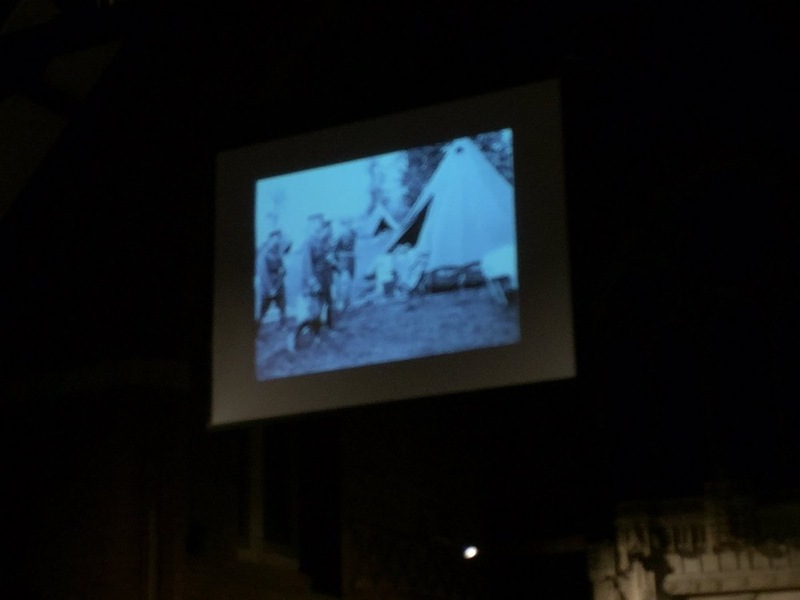 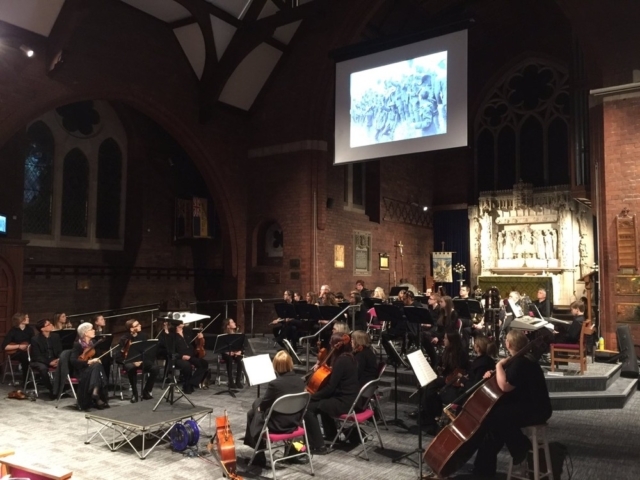 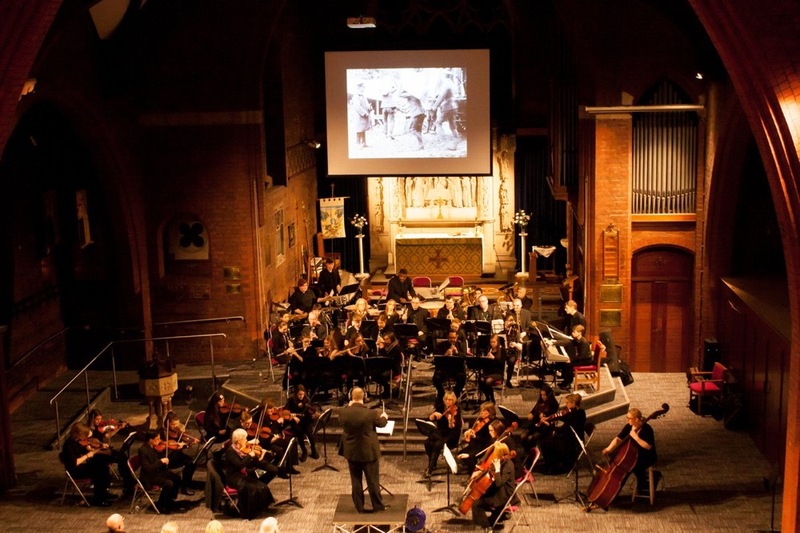 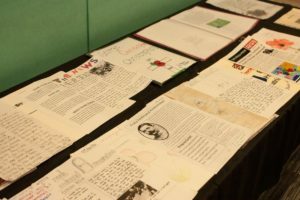 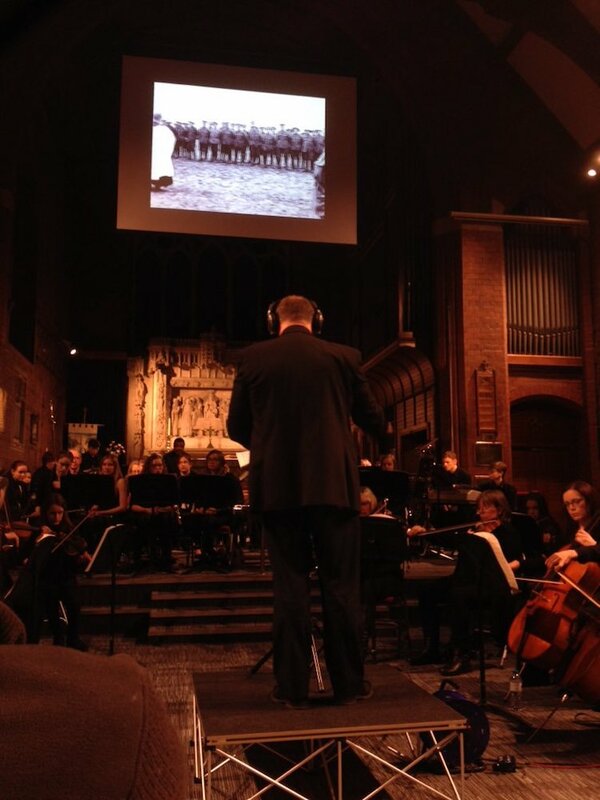 The music students created their own compositions which were recorded and screened before the concert and the art and history department put on a display of their Somme work at the live screening.